Tonight I had a revelation in baking. 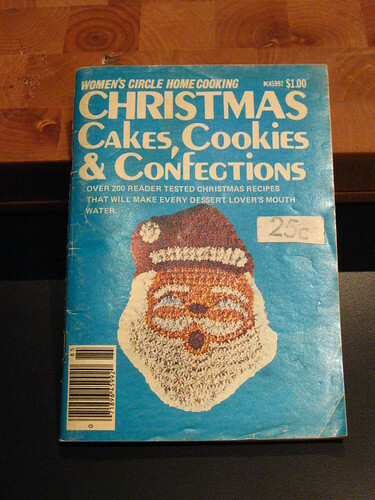 While I was browsing through one of my newly acquired vintage cookbooks (well, more like a magazine), I came across a recipe for pudding cookies. 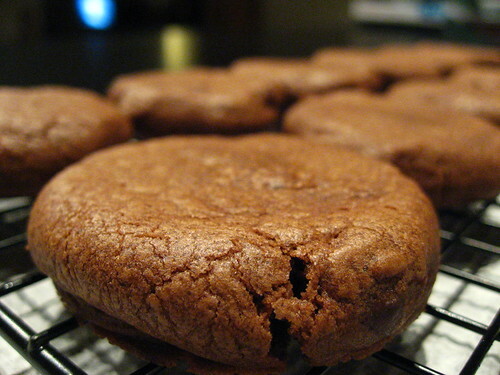 Essentially, a cookie recipe that includes a package of pudding mix for added gooey deliciousness. It was good timing, too, since Kirk came home today specifically requesting cookies for dessert tonight. We don’t do dessert most nights, but since he had spent the morning helping his brother move (while I stayed home cleaning and doing online Christmas shopping), and I happened to have a small package of instant pudding in my cabinet, I decided that it could be a fun experiment (and cookies seem to make a Saturday night at home seem so much better). I ultimately did not end up following the recipe included in my vintage my magazine (something about the proportions seemed a little weird…), but the amounts I tossed together seemed to work out well, and after doing some additional research online, seemed to be consistent with other “Pudding Cookie” recipes I was able to find. In a very large bowl (ideally the bowl of a stand mixer), cream together the butter and sugars. Add in the instant pudding mix and beat until blended. Stir in the eggs and vanilla until well-incorporated. Slowly mix in the flour mixture. 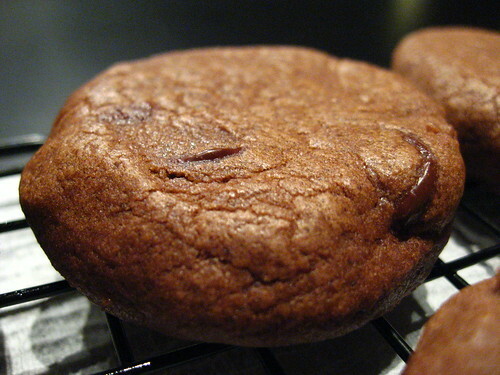 Once all ingredients are completely mixed in, stir in the chocolate chips. Drop cookies by rounded table-spoonfuls onto an ungreased cookie sheet (I had to bake in two batches. Also, I used a small ice cream scoop to measure out even amounts of cookie dough). Bake for about 14 minutes (a minute of two less for a super gooey cookie, or a minute longer for a lightly firmer cookie). After the cookies have cooled for a few minutes, transfer to cool on wire racks. Emily, I think I might have to try these(maybe with chocolate mocha mousse). I bet that would be tasty! Might have to try these, chocolate mocha mousse? Perhaps you may wish a few to your Dad. I know he would enjoy them as well.